Let me see where am I in the game. My Swashbuckler is through Aquila and just about have my Witchdoctor through. I'll be starting on a Musketeer once my Witchdoctor is done. My Buccaneer is halted in Aquila, at least till I figure get through a Musketeer. 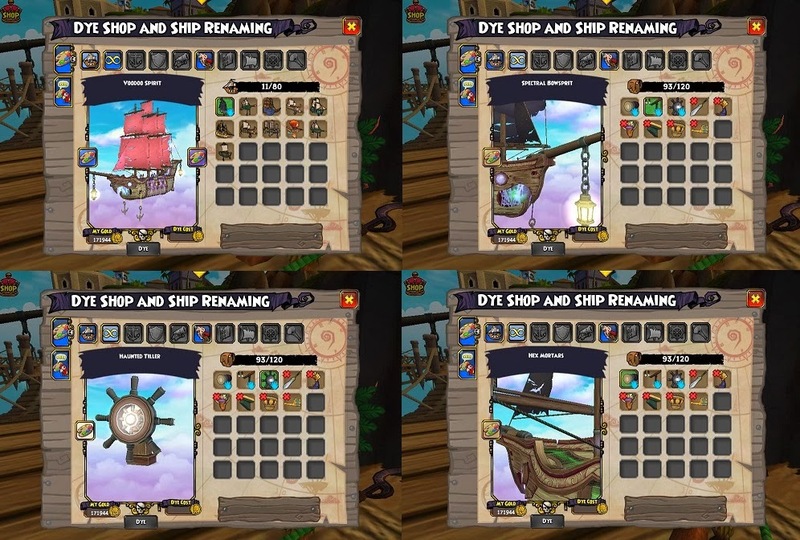 I did find some interesting piece of news I haven't known before The ship from the Hoodoo Bundle is dye-able!! 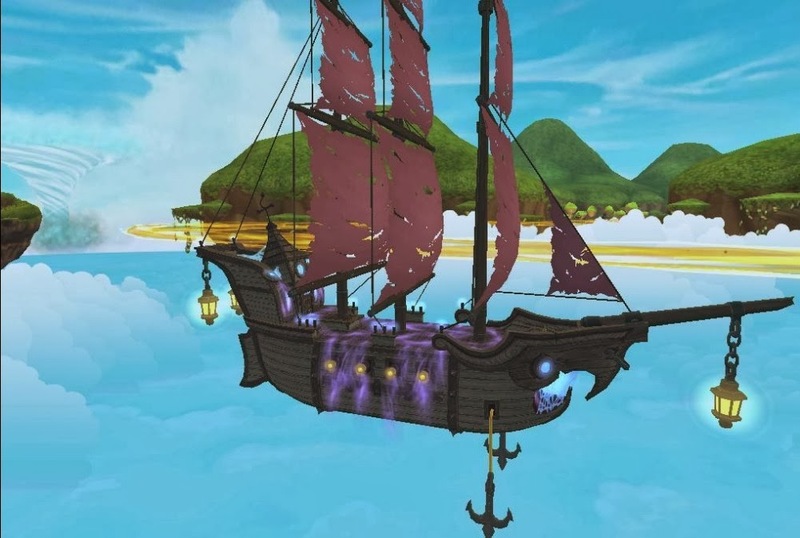 Yeah okay you might of known this but just learned this piece of information this weekend, of course I went purple ;) All pieces except for the sails are dyeable. I do wish the sails were , come on They would really looks awesome purple ;) or even a lt blue. Paige, unrelated to this post, I want to congratulate you for getting a house on the Top Decorated Board at Myrella Windspar's Castle Tours! I haven't had the chance to see it at the moment, cause its always full! Must be pretty good, though I never had a doubt it would be anything else. Hope to see more of your stuff on the leaderboard (Hopefully alongside mine *Fingers Crossed*). Thank you so much. To my understanding there seem to be a bug. That once the house is full it always is. I'm even unable to go there. I do hope for everyone to see it soon. The BunkHouse- Decorating on a Budget.